I want to apologize for breaking one of my own rules and missing this photo-op for over 5-years. I’ve visited here no less than 7 times over the years with friends and on fact-finding missions NEVER ONCE noticing the rooftop dolphins. 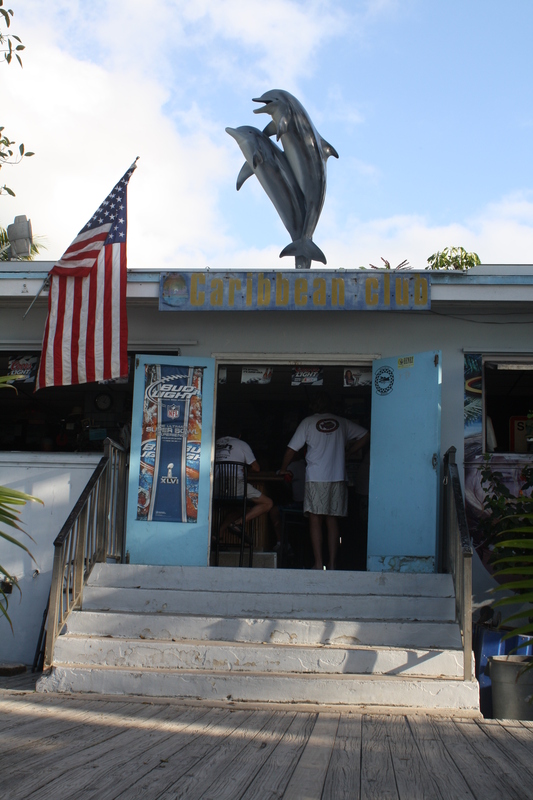 These twin Flippers can be found on the rear rooftop of the Caribbean Club in Key Largo at Mile Marker 104.2 bayside. This is WELL WORTH a stop on your next trip down due to the MANY OTHER blogs that have been written about this one stop alone… just the scenery around it is worth it my friends!